​Conveniently located in the heart of North Scottsdale, AZ! Stellar Physical Medicine provides a unique approach to integrated healthcare by combining the modern medical science and concepts along with the most effective treatments of acupuncture, Traditional Chinese medicine, and other natural medical approaches. We are dedicated to helping you achieve your health goals to improve your quality and quantity of life! Combining the skills and expertise of physical medicine and wellness care, Lloyd G. Wright and the Stellar Physical Medicine team are committed to bringing Scottsdale, AZ better health naturally by teaching and practicing the true principles of Integrative Medicine and the wellness lifestyle. When you choose Stellar Physical Medicine, you are assured of receiving only the finest quality care through the use of modern Physical Medicine equipment and technology. The Stellar Physical Medicine team has a genuine concern for your well-being! We work closely with your health care team or our recommended medical affiliates to select the right therapeutic approaches at the right time to promote the most rapid and thorough healing possible. A TEAM APPROACH TO YOUR HEALTH CARE! Thank you for having confidence in Stellar Physical Medicine and Scottsdale Acupuncture & Wellness Center. Call today for a FREE 15 minute consultation to see if can help you! After taking a complete history and performing an examination, an acupuncturist treats disease by inserting thin needles into designated points in the body. Most patients find the treatment relaxing and experience a feeling of well-being. Some patients may have a slight tingling sensation or heaviness around the needles. Each person is unique; therefore, the treatment plan is individualized. A course of treatment usually takes ten sessions, more or less. The beneficial reaction usually starts during the first four or five visits. 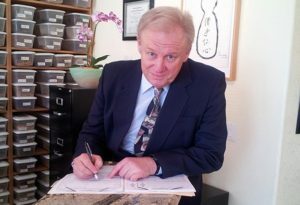 Mr. Wright utilizes Chinese herbal prescriptions extensively due to their critical importance in treating chronic and acute conditions. Chinese herbal prescriptions provide essential nutrients, with great healing and rebuilding potential. Copyright © 2014-2018 Stellar Physical Medicine, PLLC. All rights reserved.